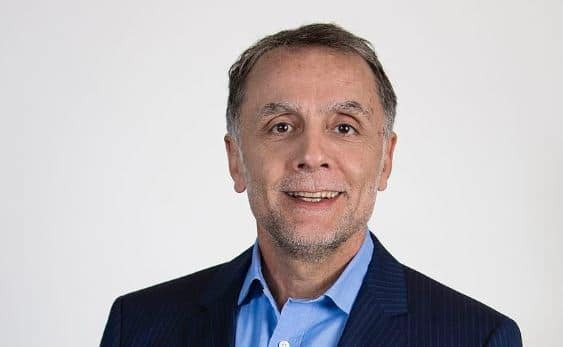 With over 36 years of experience as an investor, entrepreneur and global businessman, Fadi Ghandour is the founder of Aramex, a global logistics, and shipping company based in the United Arab Emirates. He served as Chief Executive Officer of Aramex until stepping down in 2012. Ghandour is also a Managing Partner and Executive Chairman at Wamda Capital as well as holding significant investments in other companies in both the public and private sectors. Ghandour is also a Managing Partner and Executive Chairman at Wamda Capital as well as holding significant investments in other companies in both the public and private sectors. He was appointed as Managing Partner at Mena Venture Investments in 2011 and is a Member of the Board at the American University of Beirut and the Abraaj Group, a financial services company located in Dubai, UAE. Ghandour mainly invests in disruptors in the fields of social change and entrepreneurship. Fadi Ghandour studied Political Science at the George Washington University and graduated with a Bachelor of Arts degree in Political Science in 1981. In 1994 he successfully completed the Advanced Management Program at the Wharton School at the University of Pennsylvania, United States. His career in entrepreneurship began in 1982 with the founding of the Dubai-based logistics firm Aramex. Ghandour started within the investment sector in 2006 with the Abraaj Group, of which he is still a Member of the Board. He began making significant private investments in selected companies around 2010. Based in the United Arab Emirates, Ghandour invests in the UAE and Asia alike. He has a keen interest in developing the Arab community, and as such has cultivated a focus on the market in the region. He is the founder of Maktoob.com, the largest Arab-centred online community in the world. Fadi Ghandour invested in the seed round of a company called Path in November of 2010. Path is a disruptor in the field of social media with a progressive goal of creating a social media platform within an intimate setting with a strong focus on privacy. Path limits contacts to 150 users in total. In December of 2010, Ghandour invested in the series A round of investments in an online media streaming company called Viki. In keeping with the spirit of entrepreneurship, Fadi Ghandour took a marked interest in disruptors within the logistics sector in March 2014 with an investment in a company called Shippo. By providing international shipping documentation, printing labels, providing package tracking and access to multiple courier service providers, Shippo streamlines and improves the processes of international shipping. It was reported in May of 2014 that Ghandour became an angel investor in Eqlim, a risk mitigation company focused on providing information pertinent to assisting companies in avoiding risk. Eqlim’s ultimate goal is to optimize each business. In June 2014 Ghandour invested in the seed stage round of Tamatem Inc., a mobile game publisher geared for publishing a range of games specifically tailored to the Arabic market. In August 2016 Ghandour invested in cloud-based platform Shippify, a company focused on giving shoppers access to e-commerce websites as well as online delivery platforms, consolidating the online shopping experience for a vastly improved user experience.